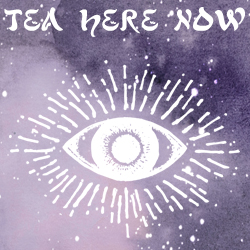 Tea Here Now aims to create a fun & engaging space for community, music, art and inspiration on a recurring basis. By taking a fresh perspective on what night life can look like, this event is 100% herb-fueled and alcohol/substance free. We will share the beauty of becoming ecstatic through nurturing our bodies with healthful alternatives. Tea Here Now hosts a full service Gong Fu Cha Tea Lounge & Herbal Elixir Bar. By communing with plants that delight the senses and ground the soul we can more easily shift into presence and authentic connection with each other. Each event will include a unique variety of offerings ranging from education to theater to live art & music. The goal of these offerings is to showcase people & art forms that speak to progressive ways of living, thinking & being in our bodies. Other offerings include plenty of squish zones, a community altar and interactive divination station for personal contemplation throughout the night. 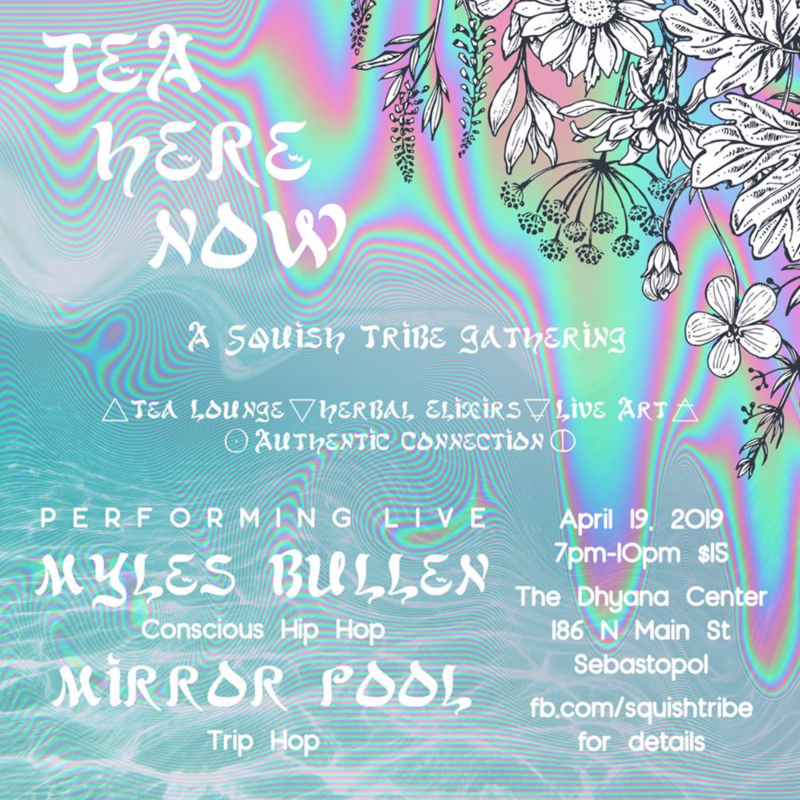 Tea Here Now is the result of accumulated years of experience in event production, tea service, and plant study paired with the desire to uplift and co-create with the artists and great thinkers of our local community. Join us in building the night life revolution, coming to fill a void that has been hard to put your finger on. Let's cultivate authentic connection in the modern world. Each ticket includes bottomless tea service all night long! A transient poetic rapper, who when not touring, is gallivanting around Portland, Maine playing a ukulele and beatboxing. His unorthodox music is influenced by indie rappers, singer-songwriters, and spoken word poets. Myles performs in a wide range of environments including educational spaces, community arts venues, juvenile prisons, rehabilitation centers, music festivals, poetry cafes, indie rap basement shows, backyards, and house concerts. Myles’ language art has led him to travel through 45 states to get vulnerable in front of living people. Alyra Rose and Alyson Miller are ancient soul sisters who met long ago on an auspicious full moon night in the Mendocino Mountains. They met very briefly and carried on. It wasn't until years later when their lives truly collided and incited something magical. Bonding through their love of music and art they have been crafting and delving into the realm of music and melody now for over 13 years. They weave soulful harmonies with an electro acoustic sound. Alyra is an avid song writer and skilled guitar player while Aly has the voice of an angel and lyrics that capture your heart. She also has a cunning ear for dynamic soundscapes that she weaves into the music in their more electronic sets. They are known for performing with a loop pedal, electric guitar, beats and wild effects or just an acoustic guitar and their lovely voices. Both are captivating in their own right. Together their forces combined is something not to be missed. They have toured from New Mexico to Ireland while making a name for themselves on the west coast where they reside. Alyra and Alyson are recording their first double album together this coming year. Stay Tuned. Katia creates fantastical landscapes full of bright colors, emotions & curious creatures. Her work transports you to mythical faery realms of whimsy & inspiration. Be sure to check out her art table!